You’d think women would have a natural advantage against men when it came to learning to hit high notes, but that’s not necessarily true. Singing high notes or falsetto is all about the control of your voice and vocal chords – and it can be learned. With a little bit of vocal training, any singer can hit beautiful high notes perfectly on pitch. Psst… Want a Shortcut to Singing High Notes? Watch This Video Now! Most people feel like they need to reach hard when trying to reach a high pitch or hit that certain note. One thing to remember: straining your voice to reach high notes won’t help. Singing should be as natural as talking. Breathing and vocal exercises are key to being able to hit the notes you want without strain. By doing these exercises you help to strengthen your vocal cords and work more efficiently when it sings. Steady air flow is very important when singing higher. It may seem weird, but it’s true. That doesn’t mean you should force too much air through your body – that has the opposite effect of what you want: added resistance and pressure. Contrary to what you might think, you actually need less air to hit high notes, not more. Straining or breathing to heavily will cause your larynx to go higher and your voice to crack – we’ve all been there when trying to belt out those high notes. On the opposite end of the spectrum, too little air won’t give you enough power. You need to learn how to work your diaphragm when breathing. You should feel your stomach rise, then your chest. Stand up tall and straight then try saying “ha” a few times in short, powerful bursts. That’s the feeling of breathing and speaking with a supported voice. Another way to avoid using your throat (as opposed to your stomach) when singing is to push your stomach out (so it sticks out more). It’ll help you fill your lungs with air and use your diaphragm. 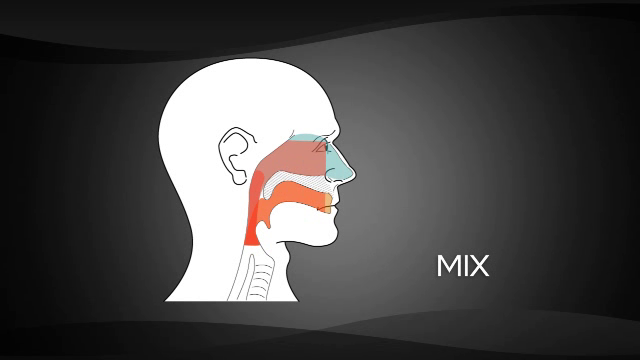 So if you don’t want to use too much breath, and not use your throat as much, but kind of use it, and not your chest, but also kind of from there…..
You need to learn to use your mix voice (which is a voice that combines your head register/voice, with your chest register/voice – hence, mix voice). When you’re practicing it’s a good idea to start your vocal runs or exercises in your middle range, and gradually move higher and higher. Also, try singing the word “yawn” in a high register. Take note of the position of your mouth when you begin to say the word in each vocal range you use. That position is exactly how you need to position your mouth to hit that particular note. Warm tea or liquid can help relax your throat and vocal cords, so try to keep some handy when practicing. And remember – it’s not all about reaching higher and higher and straining your voice when you’re trying to hit high notes. So avoid this tendency at all costs when you’re practicing. In case you didn’t know, using staccato (short, accented notes) makes it easier to hit high notes. Unfortunately most songs are sung in legato (melodic and long phrases that tie together). So with this exercise you’ll start by doing staccato notes and gradually transition to legato, all while moving higher along the vocal register (i.e. using higher notes/pitches). Once you’re comfortable there, move up higher in pitch. Of course, this requires a lot of practice time and work. No one said it would be easy But once you do this over and over again, you’ll notice a big improvement in your ability to hit higher notes. But who wants to wait forever? We wanna reach higher notes now, am I right?! The quickest way to be able to effectively reach high notes is through the structured training and practice provided by online lessons. There’s no getting around it – you can search all you want online for free information but that in itself takes forever. You have to wade through all the fluff and garbage out there and piece together separate bits of info. Online vocal lessons are an inexpensive way to get the proper training to reach higher, and eventually perfect your voice in any vocal range. 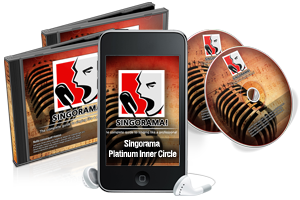 The best options available right now are Singing Success and the Superior Singing Method. You can read all our online voice lesson reviews here. Anyone who’s tried these lessons can testify that they help you immensely, so I recommend looking into them. They are MUCH CHEAPER than actually hiring a professional vocal coach and work the same way. You get a series of video lessons and audio exercises that you go through over the course of a couple of months (depending on your speed and pratice time). You also get additional resources that help you train your voice properly. People see improvements in a matter of days/weeks, not months. Seriously, check them out – it might be the closest thing to a magic bullet you’ll ever get. Having a higher pitch (especially for male vocalists) is known traditionally as falsetto. The word itself is very old and actually means “false voice,” as many men do not have a voice pitched that high naturally. Back then some male singers were castrated so that they could perform in a higher tone. The “castrato” falsetto had been used in many European choirs throughout the 16th to 19th centuries. All you guys out there – don’t worry – that craziness ain’t necessary no more! So how exactly can you learn how to perform falsetto without the uh… unnecessary surgery? Here are a couple tips that will help you along the way. A singer’s main source of “power” comes from his or her breathing. Whenever you breathe you must do so through your diaphragm. It will be hard to do this at first, but with proper training you should be able to get this technique down in no time at all. And you should also remember to take some deep breaths before you start using falsetto (if possible) as this will help you warm up. Most singers are used to projecting their voices from their chests instead of their throats. If you want to learn falsetto then you are going to have to make some necessary adjustments. Projecting your voice from your upper throat instead of your chest will allow only the outer edges of your vocal chords to vibrate instead of the entire vocal chord. This will help raise your voice in the process. It might look like you are singing your country’s national anthem, but trust me when I say that it can help a lot, especially when practicing. Place one of your hands on your chest while you start using your vocals. If you feel any part of your chest vibrating as you are singing, then you are still using your normal voice range. Remember that you need to project your voice from your upper throat and not your chest, or you’ll end up using your normal voice register. If you want your falsetto voice to adapt to different kinds of music, then you should try to practice adding more styles and tonalities. If you practice this long enough, then you should be able to use falsetto in other musical genres whether it is metal, R&B, hard rock, or even opera. And remember, the best way to hit perfect high notes is to use a structured online singing lesson. I’d definitely recommend trying out Superior Singing Method or Singing Success – they both come with risk-free money back guarantees, so you’ve got nothing to lose. I’m having trouble with singing the word someone on a drawn out legato high note. When I reach this part of the song, I always go flat and plus I can’t sustain the notes for the length of the notes on that particular word. Is it a diction problem or do I need to develop my lung capacity? I think the problem you’re having is mostly due to lung capacity. I’m sure with proper breath training you’ll be able to get those words out properly. It’s not so much a matter of lung capacity, as much as how you use your lungs. There are some great guides online on proper breathing techniques but to get the really good exercises that train your voice/breath/etc, you’ll probably have to get an online singing lesson. Im having a hard time to learn how to sing falsetto. Whenever im singing other people said that im always singing using throat they also used the word “throaty” whenever im singing. And it takes ages for me to sing using diaphragm . Thanks for your comment. Singing falsetto doesn’t have to be difficult. The important thing to remember is that you shouldn’t have to strain your voice to get that high. As long as you’re using proper techniques, you can hit some very high notes using falsetto. 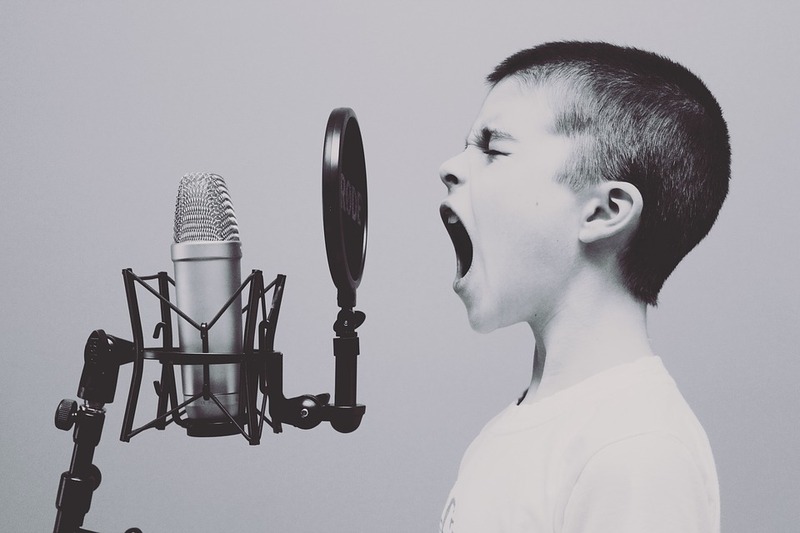 Check out our online singing lessons reviews here to find a program that can help you get better at singing from your diaphragm. You’ll also learn about using your head voice, chest voice and mix voice. This will help you with your “throaty” problem. Hope this helps. Thanks again! Hi raymond here from zambia, first tenor singer (beginner) am having difficulties with hitting high notes, strengthen up my voice and throat choking has been killing me, I feel like giving up on singing I have tried for years to perfect my singing nothing much has changed. And people say my voices comes from the throat not stomach, in my speaking voice am a natural tensor but when it comes to singing its hell, I need a natural first tenor singing voice. Is there some help you can render me with..thank you. I’ve been singing for a long time now and i’ve been wondering if I am singing the high notes correctly. I have a wide vocal range, but I just don’t know if i’m singing them right. For example, I’ll sing a song, but when I reach a certain note, my voice becomes a bit breathy and not as strong. How should high notes be sung? i realize singing falsetto is not so difficult..if you practice and practice again..we should also remember that you do not have to push your voice to hit the high notes..if we want to keep our falsetto sounds gracefully…we should protect our vocal chords so that sound will come out to our mouth is good..so thank you for your answer and advice because this will help to us..we learner that if you want something to reach you have to work with it.practice with it to reach you wanted to reach..so we must remember that give up will not help to reach you want..so work out with it…we should also know how to avoid our vocal chords safely..to keep our throat healthy..so thank yyou very much cause you gave me qdvice how to sing falsetto and how to hit high notes without suffering pain…so again i thank you..this will help me a lot…. Some of your breathiness may be coming from hesitation and nerves. Especially if you’re saying you’re fine alone but not in practice. You probably need to build up some more confidence in your vocals. Try recording yourself and playing back and hearing how you sound. If you sound great, that should help build your confidence. If you don’t, then you have an idea of what you need to work on. 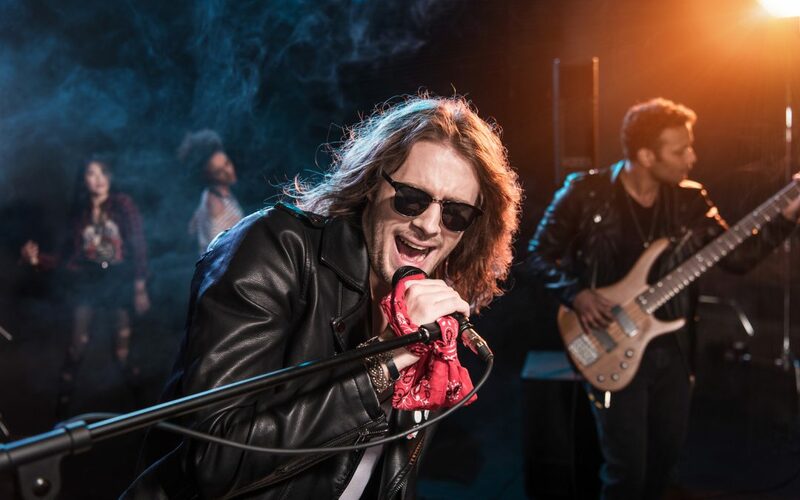 Another way to be sure of your voice is to get some proper training – try out the online singing lessons we review here. Hello! I’m Ray from Philippines. I just want to ask, how can I reach higher notes without raising the volume of my voice too much? Because I noticed that every time I try to hit high notes my voice becomes too loud. Though I’m hitting the notes anyway. What exercises should I practice to at least control the volume? It’s a good idea to try out some online singing lessons like the ones we’ve reviewed here. Lots of people have had success with them. Hey there im having trouble hit this high note from you and i by one direction. It doesn’t come out the way i want it to. Hey, it can be hard to hit some high notes, the best thing I can suggest is trying one of these to help with your voice/technique.